Between Freerein HQ and the coast there are two dozen or so inns where horses and riders stay overnight. All are small family run establishments with their own individual character. They divide roughly into village inn, country restaurant with beds and hotel with strong public bar plus facilities for residents. Throughout the country as a whole, inns are closing at an alarming rate, so it is good to be able to report that here in the hills, though there have been many closures, all apart from one have reopened again. Inns have their own menus and guests choose what to eat. Evening meal cost is not included in trail prices. Inns are licensed premises so have a bar with a selection of beers and reasonably priced wines. Prices include bed and breakfast only at inns. Throughout the hills there are many fine old stone farm houses, built in the days when a farm housed the farm workers as well as the farmer and his family. As the future of hill farming has become more uncertain many places are diversifying into tourism and related activities. Staying at a guest house offers a unique experience with excellent home-cooked food. After a day in the saddle your hosts will welcome your arrival with offers of hot or cold drinks and explain where to put your horses and tack. Farms and guest houses offer a set evening meal – real home cooked food. Vegetarians and those with other special diets should let us know in advance (there is a section on the booking form for this) so that we can let your hosts know. Evening meal cost is not included in trail prices. Guest houses do not have an alcohol license. Please include beverages with your luggage and we will deliver. Prices include bed & breakfast only at guest houses. Bed & Breakfast accommodations offered to Freerein riders and horses are located in small towns and villages. Horses stay at a nearby field either at the B&B or within walking distance. 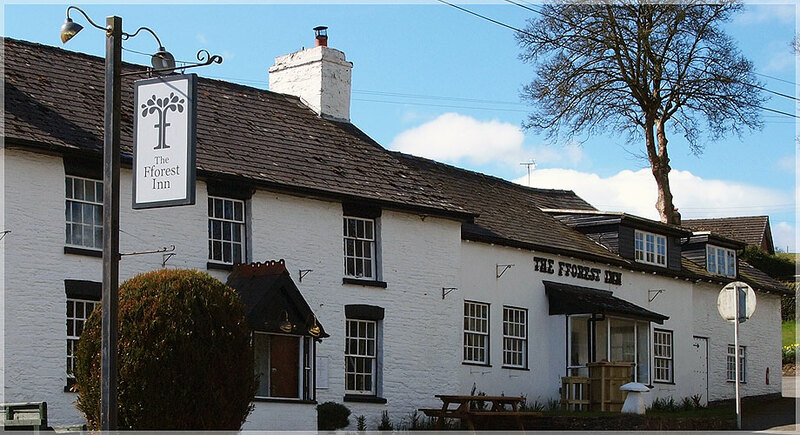 Evening meals are taken at a local inn within easy walking distance from the B&B – usually on the doorstep. Evening meal cost is not included in trail prices. Bed & Breakfasts do not have an alcohol license. Prices include bed and breakfast only at B&Bs. - Always carry emergency nibbles in case the day does not go as planned. - No lunch costs are included in trail prices. - On many trails riders have the option to stop for lunch at an inn. - On others you will need packed lunches. All Freerein accommodation places are happy to provide these – but do let your hosts know that you require a packed lunch the evening before you depart. - All trail prices on this website include Bed & Breakfast costs only. Based on two sharing a twin or double room. - When customers are invoiced for their holiday the B&B accommodation cost is subtracted from the total due. This cost is then paid directly to the accommodation places when you stay there. - Single rooms are available and a supplement is paid directly to your accommodation when you stay there.